Small Light Box (5.5" x 16"W x 19"L). Small Light Box (5.5"H x 16"W x 19"L). 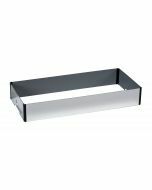 Designed for use with Small Clear Tray with Bottom Drain (#6010-610R) and Small Mirrored Skirt (#6010-CMC). Our Glo-Ice® light boxes are constructed with durable and energy-efficient LED lighting. 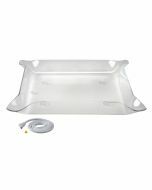 Light Box and Tray combination are designed to safely hold large ice carvings.